Last month we interviewed for new students to move into our house for the next academic year. 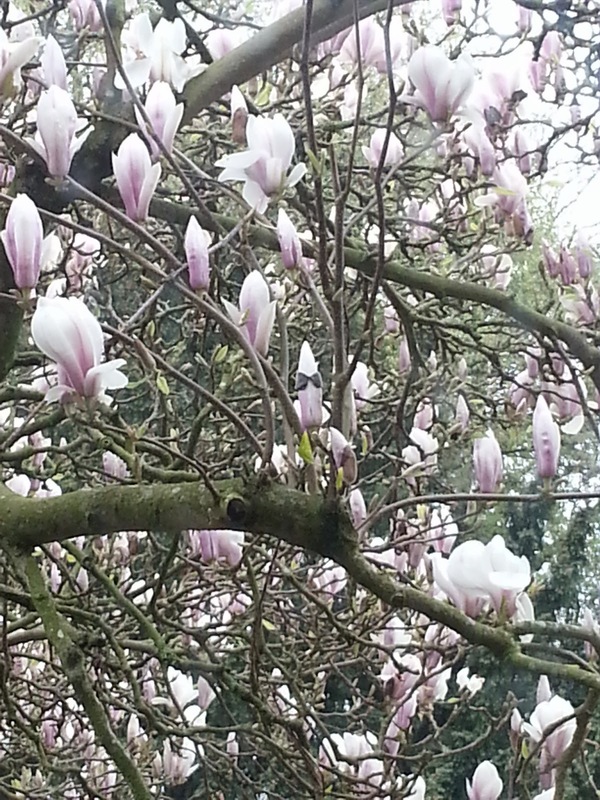 On various days over two weeks we sat in a sitting room by a window looking out on to our splendid magnolia tree. 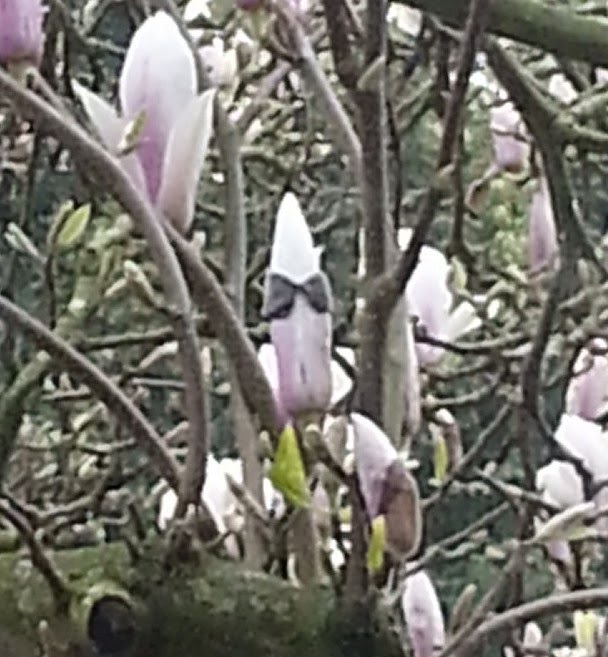 During the first few interviews the tree was still in bud, with only a few flowers beginning to peek through, so the interviewees probably barely noticed it. By the time we saw the bulk of the interviewees, though, it was looking magnificent, a great frothy mass of pearly-pink flowers bathed in sunshine only a few feet from where we sat. ﻿﻿﻿﻿﻿﻿﻿﻿I too found myself looking out of the window a lot when we ﻿met to make our final decision. And my eye was caught by one particular bud which seemed to be wearing sunglasses! He looked a cheeky chappie (and yes, he was definitely a he - a bud rather than a little flower! ); a cartoon character with a jaunty air. I pointed him out to the students deliberating with me, and one of them took a photo through the window with his phone. Thank God he did, because when I eventually returned the next day with my camera, he had cast off his shades and joined the crowd of blossoms. No longer a cheeky chappie, he now blended in with the rest.